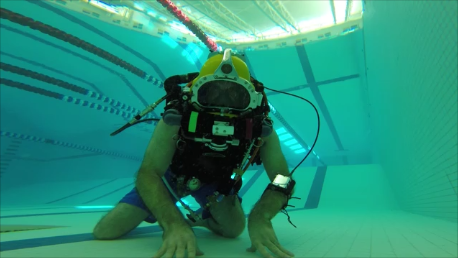 This is a special series on a ‘New Life’ by National Geographic Explorer Michael Lombardi as he chronicles his journey through ‘Depth, Time, & Space‘ using the new Exosuit Atmospheric Diving System (ADS). The journey we’re all on indeed has mysterious ways of revealing itself; all the more reason to refine our acute sense of self. More than a quarter century ago, at age 5, I made my first ‘invention’. Using some opportunistic bits and pieces, along with some creativity, I constructed a small scuba diver toy out of Lego’s (the play building blocks) – more than a decade before the company produced such a thing. Be it coincidence, or some fateful event that has come full circle, I am now on the eve of embarking on what I believe will be among the most significant demonstrations of advanced diving technology for science – a series of manned working dives up to 1000 feet of depth in the open ocean to acquire a firsthand snapshot of this alien ocean frontier, coupled with a renewed degree of human interaction. As I sit here at my kitchen table, I am staring at the hand pod component of the soon-to-be-delivered latest generation Atmospheric Diving System (ADS) Exosuit, designed and constructed by Dr. Phil Nuytten of Nuytco Research Ltd. in Vancouver, British Columbia. I picked up the hand pod this morning from the Diving Division at the J. F. White Contracting Company located in Massachusetts – the owner of this absolutely remarkable new ADS system. 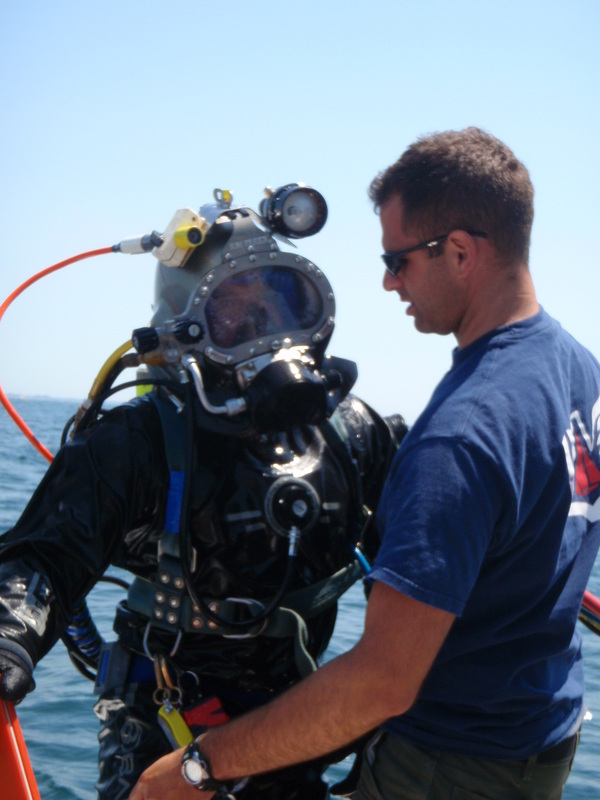 Note: An ADS system keeps the diver at a pressure equal to here at the surface – one atmosphere. This offers tremendous advantages in that the physiological limits that are the norm with ‘wet’ diving, particularly the absorption of gas under pressure which is cause for the need to decompress, are eliminated. Both depth and time – the end all for humans living and working in the sea – are no longer a problem. Even with my own recent work in scientific exploration of Mesophotic coral reefs,while making great strides in identifying new frontier limits (approaching 500 feet) to conduct meaningful scientific ‘work’, limitations are hard and fast. Issues of both depth and time present a long list of challenges. With that, lifetimes (quite literally) of critical work in science, diving technology, and the inspired humanities remains there for the taking – and represents an opportunity for tremendous progress in understanding our role with, and within, the ocean. 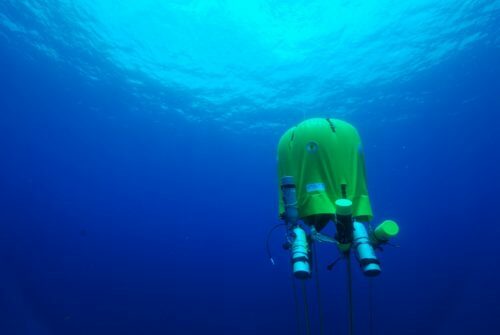 The concept of a new vehicle that allows a lengthy personal visit to depths within this Mesophotic zone, and beyond (without physiological limitations), is salivating. As I sit here staring at the hand pod, my mind reels with questions, possibilities, and opportunities. How hard will it be to fly the suit? How difficult will it be to move in this suit of armor? 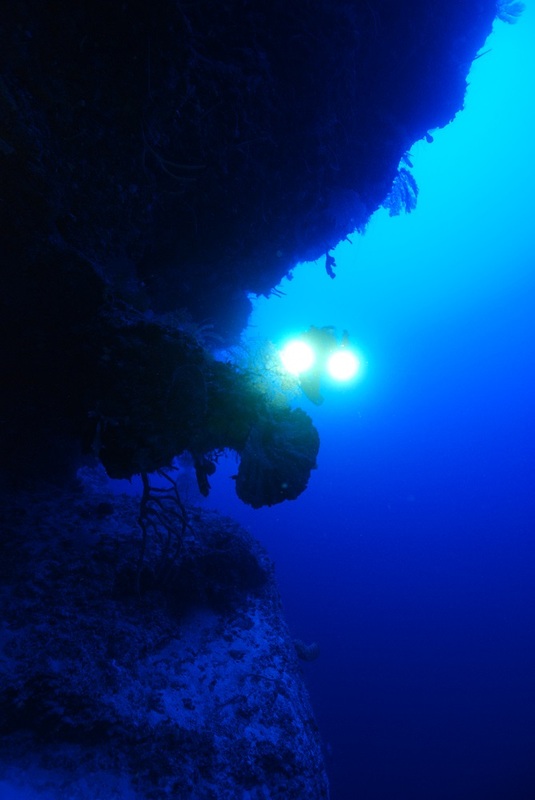 Armed with manipulators and to-be-developed special tooling, rather than my bare hands, what can I reasonably accomplish on a dive? These are all new challenges, as we are now entering in to a new region of ocean space. While both depth and time are removed, we’re faced with the mechanical limitations of the technology – an unknown. I am so very fortunate to be working with the best and brightest in this project as we address these new challenges for science. 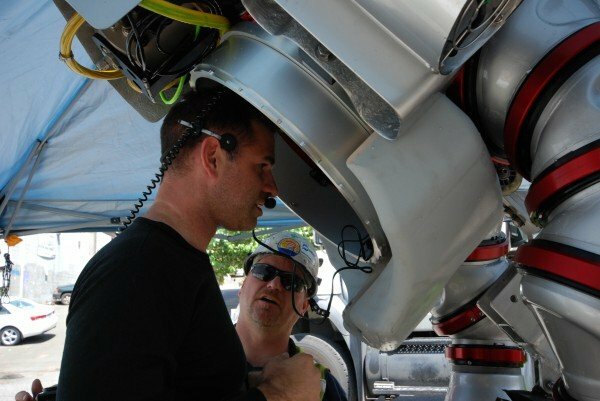 J. F. White, owner of this first Exosuit, is a well-respected Contractor and the Diving Division is no stranger to underwater problem solving. J. F. White, while supported by Nuytco and SeaView Systems, has recently completed the most technically complex ADS operations ever performed. 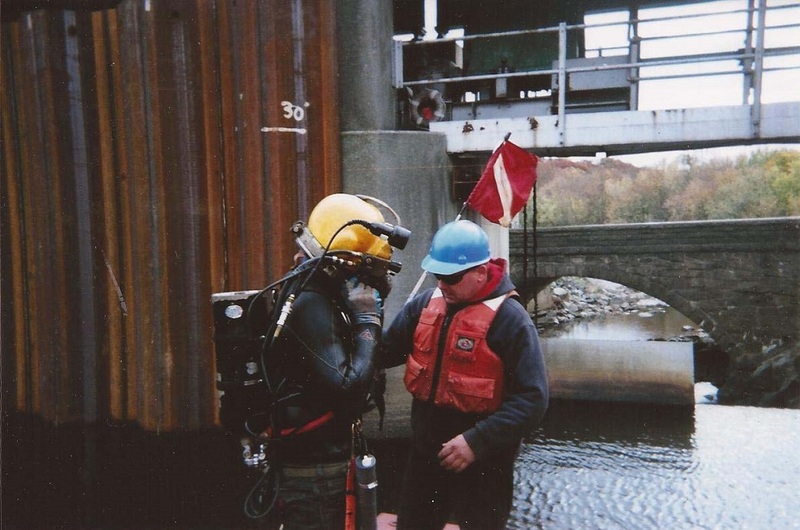 These ADS dives were undertaken at New York City’s Department of Environmental Protection (NYCDEP) Shaft 19 where a new Ultraviolet Water Treatment Facility has been commissioned to service the City of New York’s fresh water supply infrastructure. Note: J. F. White has generously reached out to the scientific community in extending this ADS resource and expertise by developing relationships at Woods Hole Oceanographic Institute (WHOI), the Massachusetts Institute of Technology (MIT), the Ocean Futures Society, and elsewhere. As I sit staring at the hand pod, I hear the echoes of lessons learned during that amazing construction project, “the suit (and the pilot) is only as good as the tooling provided to get the job done”. Makes good, logical sense to me; whether it is applied to underwater construction work or in scientific applications. Taking steps forward, among our first tasks will be developing a tool(s) that will allow a diver to collect (and image) high quality samples of open ocean biodiversity – principally soft-bodied animals such as salps and jellies, the elusive squid, and various open-ocean small fish. 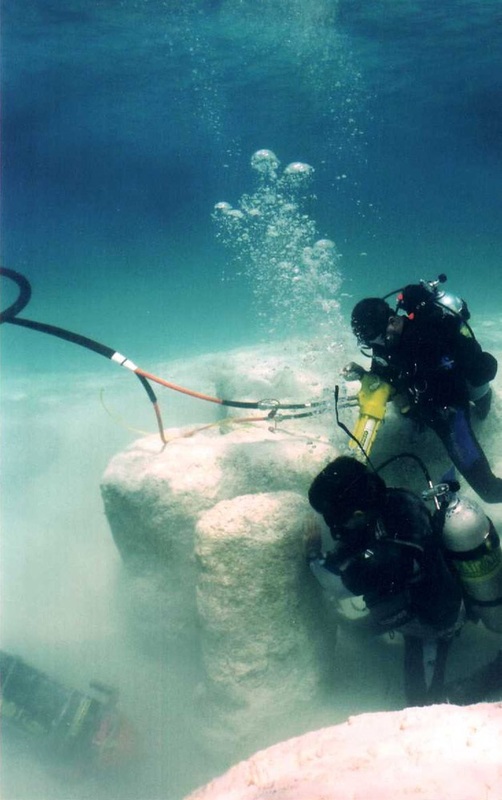 This task will support the research objectives of a growing collaborative including Dr. Brad Seibel of the University of Rhode Island, Dr. David Gruber of the City University of New York, and Dr. John Sparks of the American Museum of Natural History. A long road awaits in this process of tooling development, training to use the suit, attaining a degree of proficiency with scientific tools, development of scientific procedures, and of course heading offshore – but this will be short in comparison to how long the ocean – and its 95% of our planet’s living space – has been awaiting our arrival. To consider that our current world view of the oceans has been constructed of infinitely small snapshots given humans’ depth and time limitations is mindboggling. As I pack it up for the night, I shook the hand pod’s ‘hand’; a new formed relationship, a new interaction with an enabling technology, and a forthcoming renewed presence in ocean space. Call it fate, or sheer coincidence –that lifelong state of inquiry and exploration go ‘hand in hand’.